"I just started at an open mic night in the 1970s and I'm still going, still doing now what I started to do then. I know other people might look up to me. But really, I'm just me after a bit of time has gone by." There you have it. The biography of Steven Wright. Those three sentences pretty much sum up the career of one of the most popular stand-up comedians of all-time. We could stop there, but we'll keep going. There is a bit more to know about the mysterious Steven Wright, but more importantly, the publishers of this website demanded a much longer article. How important is Steven Wright to the craft of joke telling? Well, in 2017, Rolling Stone magazine ranked him as the 15th best stand-up of all-time. He was sandwiched between Billy Connolly and Andy Kaufman. The laidback Wright is famous for his deadpan delivery. His humor is philosophical in nature, and he adroitly uses irony, non sequiturs, and paraprosdokians (when the latter part of a statement makes the listener reinterpret the former part of that statement). His style fits perfectly with his crazy hair and phlegmatic demeanor. He looks like a patient in an asylum but with an aura of a 1970s rock star. "Whenever I think about the past it just brings back so many memories." "I can levitate birds, but nobody cares." His humor is clever, thought-provoking, and extremely interesting. He doesn't work the crowd or worry about transitions. His set is nothing but jokes. There's an unusual phenomenon that occurs when Wright performs. The phenomenon is a pause between when his punchline lands and when the audience guffaws. This brief silence is produce by the crowd processing what they just heard and realizing it's hilarious. We're more than just a ticket site because when you purchase your Steven Wright tickets here, we can donate $5 to charity if you'd like too. 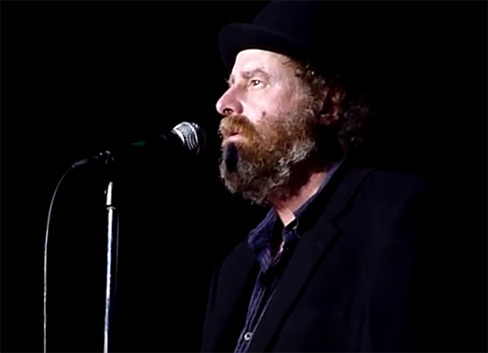 Purchase affordable tickets to Steven Wright live in concert and do a good deed too by giving to a cause that means something to you. You can rest assured your Steven Wright tour order will be processed quickly and safely on our secure servers and that all concert tickets sold here are backed by our 100% Buyer Guarantee. How much are Steven Wright tickets? Regardless of your budget, GoodDeedSeats has ticket prices that are right for you. Choose the venue and show date above by clicking its corresponding blue 'Tickets' button. It will bring you to a page with that venue's latest Steven Wright seating choices and pricing. Wright was born on Dec. 6, 1955 in Cambridge, Massachusetts. His father, Alexander K. Wright, worked for NASA during the Apollo program. Later, he drove truck. Wright received an associate's degree from a community college in Bedford, Massachusetts. He earned his bachelor's degree from Emerson College. Wright began stand-up in 1979. In 1982, while performing at a comedy club in Cambridge, he was discovered by a Tonight Show producer. The comedian was eventually booked to perform on the late-night program. His set went so well, and was so liked by host Johnny Carson, that he returned less than a week later. Carson once introduced Wright with the following: "Just let your mind go at ease here [and] follow Steven Wright. He's unique and you have to listen to what he says." 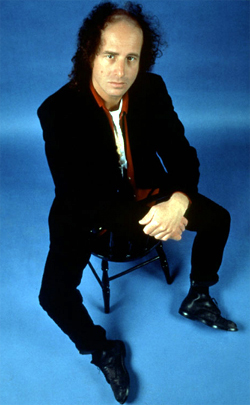 Wright released his first comedy album, I Have a Pony, in 1985. His second, I Still Have a Pony, came out in 2007. Both were nominated for Grammy Awards. In the late 1980s and 1990s, Wright earned a devout following on college campuses. His demeanor and cerebral material played well to students. 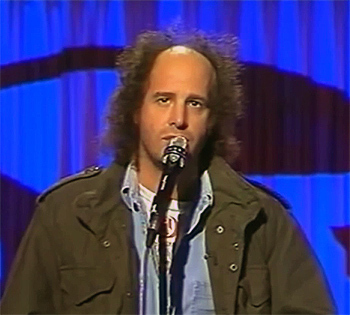 His 1985 HBO special, A Steven Wright Special, was insanely successful. It was one of the network's most requested programs. His 1990 comedy special, Wicker Chairs and Gravity, would be his last for 16 years. In 2006, Wright returned to the small screen with "When the Leaves Blow Away." Despite his lengthy hiatus from television, Wright continued to perform on the comedy stage. Wright has an Academy Award on his mantle. 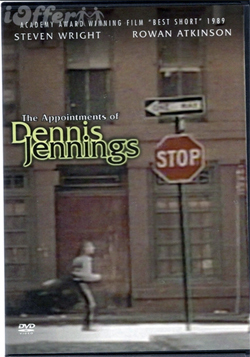 He won the statue in 1989 for Best Short Live-Action Film for The Appointments of Dennis Jennings. Wright starred in the film as the titular character and co-wrote the script with Michael Armstrong. The film was directed by Dean Parisot. While editing Reservoir Dogs, Sally Menke (Dean Parisot's wife) realized a voice was needed for a pivotal scene. She suggested to director Quentin Tarantino that they tap Steven Wright. Wright voiced the deejay heard in the famous torture scene. Other movies in his filmography include Desperately Seeking Susan, So I Married an Axe Murderer, Natural Born Killers, and The Aristocrats. Way back in 1979, Wright appeared on WKRP in Cincinnati. He played a security guard in the episode called "Fish Story." Wright has appeared in Mad About You, The Larry Sanders Show, Louie (he also produced that show), and several other television shows. Wright has crafted some uproarious one-liners. Fans should be cautious when looking for his material on the internet. "I bought some powdered water, but I don't know what to add." "I hate when my foot falls asleep during the day because that means it's going to be up all night." "I have a map of the United States. It's actual size." 1985 Desperately Seeking Susan Larry Stillman D.D.S.